Steve Murrell, “Establish in the Faith” | Victory - Honor God. Make Disciples. 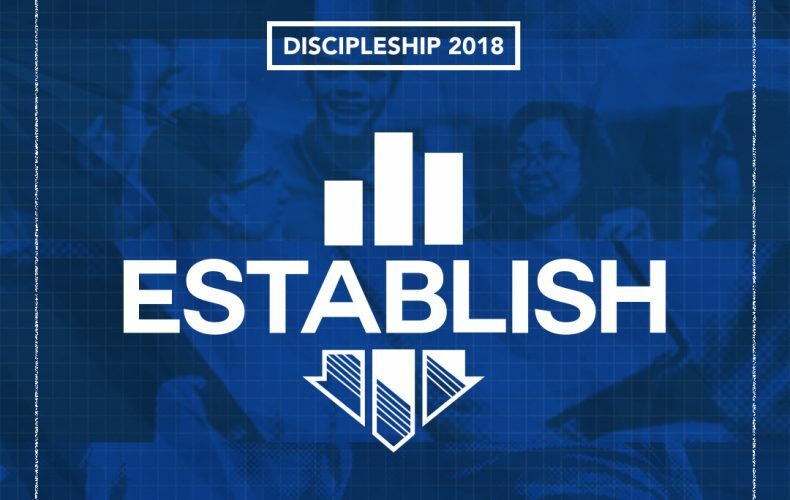 The following is a transcript of “Establish in the Faith,” a message delivered by Pastor Steve Murrell at Discipleship 2018. In northern Italy in 1173, a group of some of the world’s most brilliant architects and engineers set out to build what would be the largest church bell tower in all of Europe. They designed one of the most beautiful buildings of its time. It took about 199 years to build, so obviously, the original architects were no longer around. The problem was, as they were building for those almost 200 years, they noticed that the building began to tilt. By the time they had finished four stories of what would be eight floors, it was tilting, and they decided to correct the tilt, they would build the columns on the north side taller than the columns on the south side. Every time they tried to fix the building, it never worked, because they worked on the outside. They worked on the decorative parts of the building; they worked on the external visible structure, and the building continued to tilt more. By the time they finished, they had indeed built the tallest bell tower in all of Europe. But there was one problem: it could not function as a bell tower. They were unable to put the bells in the tower because they were too heavy, and they feared the whole thing would topple over. So here’s what happened: they built a beautiful building that was unable to function for the whole reason they built it. For the next 500 years, after it was completed, it continued to lean a little bit more every year. A few centimeters this year, a few more the next year. By 1990, the Italian government closed the building to tourists. They would not allow anyone else to go up and try to reenact Newton’s apple drop. I don’t really remember what the billboard was advertising, but I’ve never forgotten that idea. They tried to fix the outside of the building, but the outside was not the problem; the problem was the foundation. It reminds me of many Christians today: they look good on the outside, but here’s what happens. From the time their Christian life begins, they start leaning and tilting, ever closer to disaster, and they try to fix things on the outside. They try to fix things that are visible, and they try to make themselves look like good Christians, and even act like good Christians, but the problem is a weak foundation. Today, everything about our gathering is about helping every one of you establish strong foundations in the people who attend your Victory group, and the people who don’t yet attend, but will. The new believers who will be baptized, but also old believers who have shaky, faulty, weak, and tilting foundations. Now, our Scripture: Acts 2. We’re going to read just a few verses, beginning in 36. This is a Scripture that, when this church started in 1984, every single day for one month, I would meet with new believers, and this is the only scripture we would talk about. Every new wave of new believers, we would go right to Acts 2:36, here’s what it says, this is the first sermon ever preached and recorded in the New Testament church. This is not the whole sermon; verse four, he says, “with many other words he exhorted them,” but I want to focus on this little piece of the very first sermon in the church age, once Jesus has ascended and now they’re gathered. It starts off as every good church worship service must, as every good sermon has to do, it starts out focusing not on rules, not all religious rituals, not on a to-do and not-to-do list, it focuses on a person: Jesus Christ, and what he says is, you can know for certain who this Jesus is. And for us, the starting point of making disciples, the starting point of establishing biblical foundations, the starting point of everything good that happens spiritually in a disciple’s life is when we fully understand and know for certain exactly who Jesus is, according to Scripture. Let’s talk about the word “Christ” for a moment. “Christ” was a religious phrase that all the Jewish people saw as their coming Savior. They prayed for this, they longed for this, and one day, this “Christ” would be the centerpoint of their religious life, and He would be the focal point of their worship, and He would be God coming to save them. But it’s not just Christ. Yes, He is the Savior, yes, He is the center of all real worship, yes, He is the center of our spiritual life, yes! But he said, “know for certain that he is Lord and Christ.” “‘Lord” was not a religious word; “Lord” in that day, when people used the word “Lord” in the Roman Empire, it was very common to say “Caesar is Lord! Caesar is Lord!” What that meant was, Caesar has absolute authority, with no accountability, with no oversight, with no one to make adjustments, absolute authority. The word “Lord” also meant a slave-and-master relationship. Slavery was very common in the Roman Empire; they were everywhere, and the master of the slave was “Lord.” And so, we have this idea of Savior, but also absolute authority. And that’s who Jesus is. Yes, He’s our Savior, but He’s also our Lord. That’s the starting point. We get to verse 37: the sermon starts with, “Who is Jesus? He is Lord and He’s Savior; He is Lord and Christ.” Next, what happens in verse 37? It says, those who heard the message, “their hearts were cut.” And so, real foundations happen when the truth goes from our head to our hearts. There are a lot of people who know in their head, “Yeah, I know that Jesus, I’ve heard about Jesus all my life, I went to religious schools, I know that.” The question is not “Do you know it.” The question is, “Has it broken your heart? Has it caused a heart transformation?” And that’s what we’re looking for in discipleship. The way you know that there’s heart transformation in someone you’re discipling is, that they want to move forward with God. They want their relationship to move on; they want to respond to who Christ is, and what He says. They say, “What’s next?” Here’s how foundations happen. Number one: Who is Jesus? Lord and Christ. When that gets in our hearts, then we respond. The response was, “What do we do?” Here’s what he said: First thing. Repent. Let me explain what repentance is. You go in one direction and repent means, “I feel bad, and I turn around, and I go the other direction.” Repent means a change of mind and a change of direction, right? It’s different from penance. You know what repentance is? When you turn around and realize He’s right there. You can never go so far that you can’t turn around. Repentance, though, which is a biblical word, means to turn around, and go the other direction. Foundations that we help establish in new believers: “Who is Jesus?” Once that goes in their hearts, then we teach them what repentance is—turning away, turning toward. Then he says, you repent, and what’s next? “You’re baptized!” The word “baptize” in the original language here means to “immerse” or another phrase is, “to marinade.” You know, if you’re making some chicken barbecue? If you just cook your chicken and throw the sauce on it later, you don’t marinate it, that can just be wiped off, it doesn’t really go straight to the core, it’s only on the surface. “Baptize” means “to immerse,” and to soak, and to marinade, where it’s not just on the external, it goes all the way through. My oldest son, when he was starting out his PhD program in Islamic History, he had to take Arabic. He had to be able to read Koranic Arabic, and so, he had to go to an immersion program. It’s this word from “baptize.” In this immersion program, he had to go to Jordan and immerse himself in the Arabic language. And he had to agree that he would not speak English the whole duration of the immersion program. So baptize or immersion means, you surround yourself and soak yourself and absorb yourself in something new: the kingdom of God! It also means, you don’t do other things. My son had to agree and promise not to speak English that whole time. And you know, religious people are always trying to get around it, too, just like that. So “baptize,” yes, it’s a religious ritual, but it’s more than that. It’s an immersion in the name of Jesus. So what does he say? 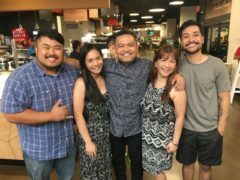 They say, “What do we do next?” “Repent, get baptized,” then he says, “and you’ll receive the gift of the Holy Spirit.” In discipleship and establishing foundations, we’re teaching people how to receive the Holy Spirit, not resist the Holy Spirit. It is one to be baptized in the Holy Spirit, receive the Holy Spirit, but we’re also teaching in discipleship, for the rest of your life, continue receiving an infilling of the Holy Spirit, and learn how to stop resisting the Holy Spirit. It’s a lifelong walk. 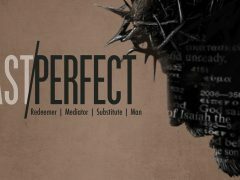 When we establish foundations over and over and over, it’s who is Jesus? When that goes from the head of the heart, it’s repent, get baptized, be filled with the Holy Spirit. Now remember I told you about that tower in northern Italy and how, in 1990, they stopped the construction? What they did, they had to fix it because it was leaning so far by this time, 600 almost 700 years after construction finished, it kept tilting more and more. And finally they knew if one more person climbed to the top, it was going down. Now, it took them ten years to fix the foundation. They stopped working on the façade, and they started working on the foundation. It took ten years and USD 27 million, and they fixed it. But if you notice pictures on Instagram of the Tower of Pisa, it’s still crooked, because they only corrected it fifteen inches. And they anchored it. They built new foundations; they actually went down 150 feet deeper than the foundation that had been there. And they anchored it permanently. They didn’t straighten it because all the tourists would’ve stopped coming, and the town would’ve gone bankrupt. Nobody wants to get a picture taken at the Straight Tower of Pisa. But they fixed the foundation finally. You know, we live in a day that is obsessed with façades. It’s obsessed with the external; it’s obsessed with the temporal; it’s obsessed with how things look. But that’s not what foundations are about. Foundations are never seen. Once a building is up, foundations are ugly, they’re dirty. Foundations happen when we dig dirt out and dig more dirt and more dirt and more dirt, and then fill it with something else. And your task as a disciple-maker, your task as a Victory group leader is to help dig out the dirt and establish the reality of who Christ is. Then lead people in water baptism, in repentance, in getting filled with the Holy Spirit. We’ve made some tools to help you in the disciple-making process in this area of establishing people in the faith: ONE 2 ONE and Victory Weekend. 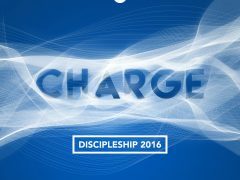 Our goal is to make discipleship as accessible as possible, to as many people as possible. Establishing foundations. That’s what we’re all about today. The reason? Because it’s not just the façade; it’s not just the externally visible. It’s the foundation that ensures the Christian life is going to the end, and that God will be honored from beginning until the end.